Ludwig Güttler first shot to fame as a trumpet soloist. However, he has long been also internationally recognised as a conductor, music researcher, founder of festivals, and a staunch advocate and supporter of the reconstruction of the Dresden Frauenkirche. After completing his studies at the University of Music and Theatre ‘Felix Mendelssohn Bartholdy’ Leipzig, he first worked as an orchestra musician and during this time he embarked on his international soloist career. Ever since then enthusiastic audiences and euphoric critics have accompanied him on his musical path as a soloist, chamber musician and conductor. Upholding these functions, he has recorded over fifty musical records. Whilst at the same time engaging as a teacher and a member of various panels, he has always been committed to raise and nurture new musical talents. 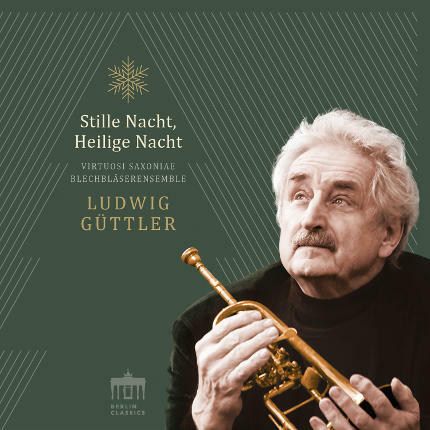 For the last three decades, Güttler has been especially devoting his innovative spirit and musical prowess to reviving the Saxon court music of the 18th century. He is the founder of several ensembles and has been awarded highly-acclaimed prices in recognition of his musical achievements.